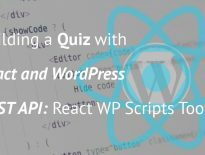 If you have yet to learn how to integrate the React WP Scripts into your plugin, please check the last tutorial: Building a Quiz with React and WordPress REST API: React WP Scripts Tool. 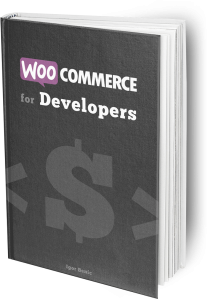 Our Quiz Component will need to fetch questions from our WordPress site. This will be done using our REST API endpoints. Open Quiz.js and change App into Quiz. Let’s now define our constructor method where we need to create the initial state and bind some methods. We are calling super() so that everything gets defined and set for the Component class which we extend with our Quiz Component. We have also defined wpqr as a global object so that we can use it inside our code without getting any errors from the react-wp-scripts tool. The state is defined with all the defaults that we need for our Quiz. This is something you might get back to and re-define while building your own React app. After that, we are binding fetchQuestions to this so that we can use this inside that method. The last thing we do is calling the method. To fetch all the available questions for our Quiz, we will need to fetch them from our previously defined REST API endpoint wpqr/v1/questions. We are using the Fetch API. You can read on how to use it here. Basically, we are making a GET request on that endpoint. When we get a response, we are converting it into JSON and in the next promise we are filling the state with the provided JSON as questions. We are also setting the state.lastQuestion if we have only 1 question. To render our Quiz Component and showing the correct output, we will rely on our state. The button will become a ‘Get Score’ button only if we are on the last question. We are enabling the button only if our state.answers has an answer for that Questions’ ID. As you can see from the code, we are missing two Components: Question and Score. That will be done in the next tutorials. If you also look closely at our code in the method render, you might notice that there are some other methods passed to our button that we don’t have yet. 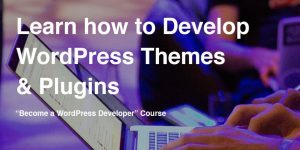 Those methods are: setNextQuestion and getScore. There is also a third method missing and that is for setting an answer to the current Question. This method setAnswer will be used inside the Question Component. Again, to use a custom method, we need to bind that method to this. So let’s add some code to our constructor method. Check if the current Question is also the last Question and update the state. Let’s now also define our missing methods getScore and setAnswer so that our compiler will run without issues and that we have something to work with in the next tutorial. First, of course, is the constructor. You, probably, already know what is going to happen: binding. Since getScore is using the other REST API endpoint, I will leave that for the tutorial on getting the Score and showing it. But feel free to try it out and see if you can make it work. Actually, I encourage you to do so. The setAnswer method is a simple one. This method will take two parameters answer and question. The parameter answer will be the order of the answer in that question. In our metabox, that we have done in the previous tutorial on creating CPT and REST API Routes, the answers order goes from 0 to 2 (3 answers). The parameter question will be the ID of the question. In the method setAnswer, we will retrieve all the answers from the state, update them with our new answer and set the answers back to the state. In the next tutorial, we will create two new components: Question and Answer. Try to create them on your own and then check on how I did it.